Steel-framed shipping containers are wind and water-tight. They are built to withstand open-ocean travel—including extreme gusts and downpours. So you know the jobsite is secure, whether your crew is working in Williston or Fort Worth Basin. For energy employers who need to staff remote jobsites, steel structures may also protect better against man-made risks like vandalism, theft, or fires. Shipping containers units are easily transportable via ship, rail, or truck. In fact, they can be set up and relocated indefinitely, without compromising their structural integrity. 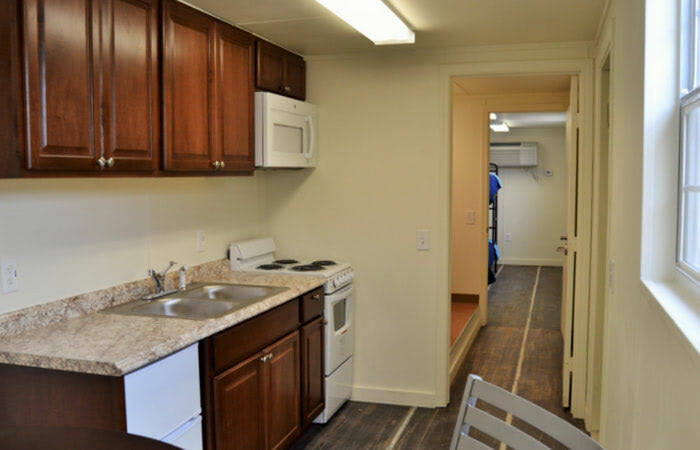 At Falcon Structures, we deliver workforce housing to anywhere within the Continental U.S. Shipping container housing does not require concrete slabs or in-ground foundations. 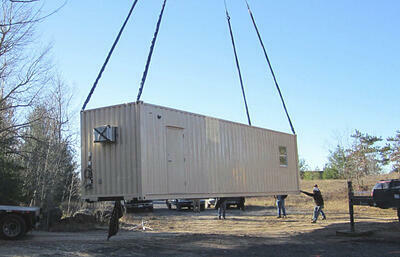 This makes container units a more efficient way to house temporary crews and jobsite assets. Corporate sustainability has never been more important—especially in the energy sector. Increasingly, green practices are tied to greater profit potential, not to mention a cleaner planet. Shipping containers help oil and gas companies extend their sustainability efforts by avoiding the raw materials used to create manufactured housing and by removing unused shipping containers from America’s port cities. Last but not least, your crews are the lifeblood of your organization. Their comfort translates into good morale, well-rested teams, and increased productivity. Modified shipping container homes are easy to outfit with home-like amenities and relaxing interiors. Not sure what you need in your workforce housing plan? We can help. We’ve executed large and small man camp projects for some of the leading names in oil and gas. Give us a call at 877-704-0177 or email sales@falconstructures.com.